The man in charge of “drawing out” the skills from the oil and gas supply chain into the Scottish renewables marketplace has suggested the north-east is the “best place to do business” right now. 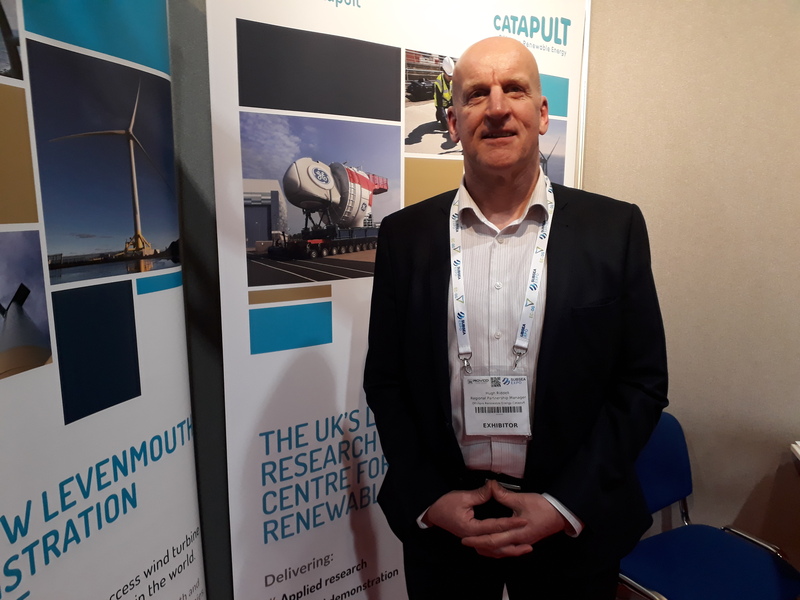 Hugh Riddell, the Offshore Renewable Energy (ORE) Catapult’s point of contact in the north-east, has been tasked with growing relationships between the two sectors. Having only been in post a number of weeks, his is attendance at Subsea Expo 2019 was to get a sense of how his mandate can best be achieved. With 30 years in the oil and gas industry, Mr Riddell has shifted into the Scottish offshore renewables sector bringing his experience and an extensive list of contacts. He previously worked as sales manager at Swire Oilfield Services, client manager at Technip, before taking up a directorial position at Mither Tap Limited. He said: “I can aid companies up here because of my breadth of contacts from working in the oil and gas sector. “Offshore renewables is a real and functioning industry in the north-east and I’ve been speaking to lots of companies who want to make that transition also within their business. Mr Riddell has been drafted to help the North Sea supply chain get ready to bid for work in the offshore renewable energy sector, mainly via the Fit For Offshore Renewables (F4OR) programme. He aims to provide advice to firms looking the enter and flourish within the renewables supply chain in the north-east. He said: “I’ve mainly been approached about involvement in offshore renewables and many are keen to see if their technologies are transferable, particularly offshore wind. “We’re very keen to talk to these companies and we’re always looking to speak to those who have technology that is cross-sector. Mr Riddell will also be the point of contact for the ORE Catapult as Swedish wind developer Vattenfall look to grow the amount of projects taking place at the European Offshore Wind Deployment Centre (EOWDC). He added: “There’s a number of demonstration projects that Vattenfall are keen to get going with, so I’ll be working on that.